A fast paced presentation for busy people who want results. Get a proven framework for converting traffic into leads and live Q & A to help you implement the process! Is your sales team hungry for action but starving for leads? Do you spend money on advertising and scratch your head when only a few leads trickle in? Are you wondering if there is a secret to lead generation that you don’t know? There is. A secret formula actually, that allows websites to break through to a new level of lead generation and provide juicy returns on their marketing investments. 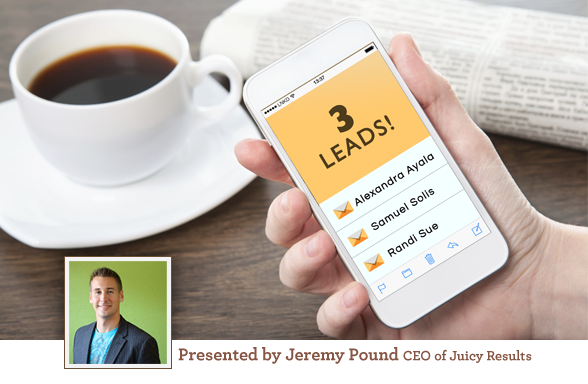 In this 35 minute presentation, Jeremy is going to share the framework we use to design lead generating websites. These elements will ensure that visitors stick around and ultimately convert. Utilizing these ideas will also deliver a more educated, ready-to-buy prospect that will require a shorter sales cycle. In addition to presenting the formula, we’ll cover the neuroscience behind the reasons we recommend each element. For example, understanding our brain’s Reticular Activating System (RAS) can help you write better headlines and design higher impact marketing. The webinar contains clear examples on how to use this knowledge to break through the noise that we’re bombarded with on a daily basis. Don’t worry, it’s not as academic as it sounds! Every day that you spend money on advertising without using this formula is costing you money! We’ll take a look at several examples in this fast-moving presentation so that you can see these concepts and compare them with what you may already be doing. 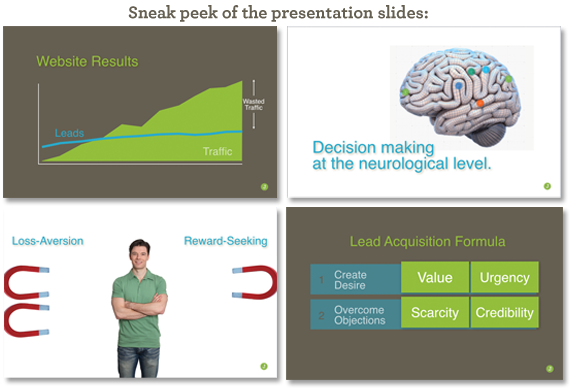 Sign up for the webinar today, and get ready to break through to the other side of lead generation success. Marketing Manager, North America, Hydro Systems Co.
We'll share the principles and tactics we use to deliver results like this so that you can convert your website into a lead-generation machine! Watch this 90 second personal video introduction from the presenter to find out if this webinar is right for you.